My fondest memories of travels in Scotland are in the pubs with folk bands stomping the paint off the floor as locals came together with the same twinkles in their eyes. This is an example of a time when I really feel I'm in Scotland instead of "Britain." 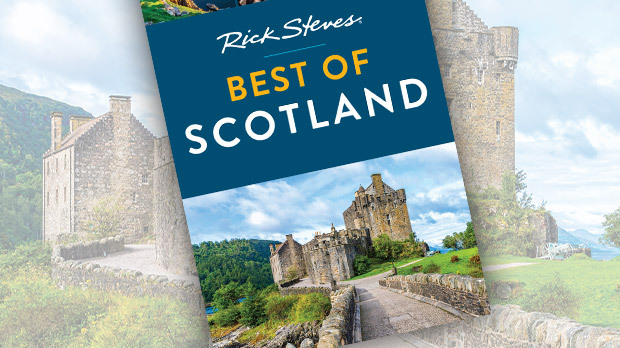 Home of kilts, bagpipes, whisky, golf, and haggis, go-its-own-way Scotland boasts a culture that stands apart from the rest of its British brethren. Like Wales, Scotland is a country of ragtag Celts sharing an island with wealthy, powerful Anglo-Saxons. Since the days of William "Braveheart" Wallace, the Scots have chafed under English rule. Throughout the centuries — after the 1707 Act of Union tied Scotland to its southern neighbor — Scottish nationalists have rioted for independence in Edinburgh's streets and led rebellions in the Highlands. Though peaceful now, Scotland's drive for independence has not waned. In recent years, Scotland has become increasingly autonomous, even opening its own Parliament in 1999. And while voters rejected outright independence in 2014, there's no question that Scotland will remain uniquely Scottish. Scottish culture is distinctive but can feel clichéd. 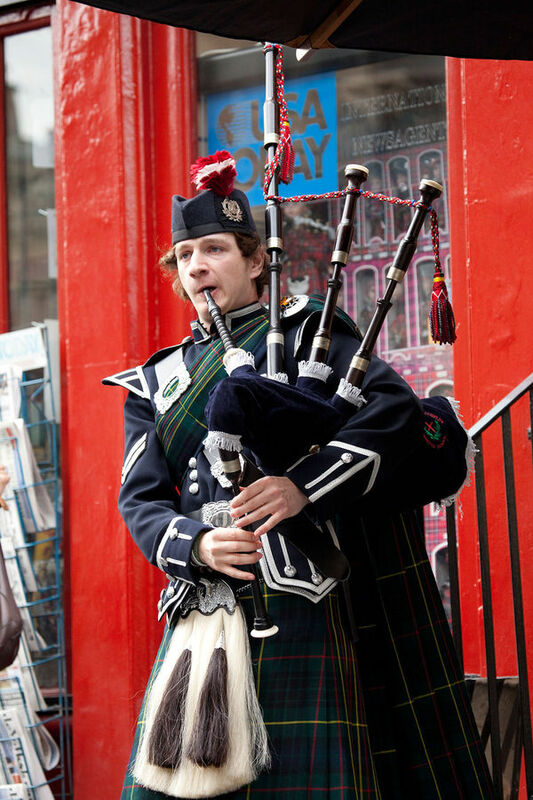 Whether driving through the Highlands or walking Edinburgh's Royal Mile, it seems like the folk music, kilts, and bagpiping buskers are there, at least in part, for the tourists. Still, when I visit, I find myself caught up in Scotland's pride for its traditions. Kilts became a patriotic statement during wars with England. For centuries the stirring drone of bagpipes accompanied kilted Highland soldiers into battle — inspiring them, raising their spirits, and announcing to the enemy that they were about to meet a fierce and mighty foe. For a chance to hear a bagpiper in the wild, drive through the evocative Highlands valley called Glencoe. Besides grand views, you'll see flocks of "hairy coos" (shaggy Highland cattle), and, if you're lucky and the weather is good, roadside Highland buskers. Whenever I see one, I stop and ask to finger a tune on the melody pipe while the piper powers the music with its drone pipes by filling the bags. Scottish traditions are on display at the Highland Games, which take place around the country each summer. Rather than target the big famous gatherings, I'd make a point of visiting the smaller clan games. On my last trip, I was lucky to be in the town of Kenmore for their games. The local field was taken over by big Scottish men in kilts tossing cabers (long, pole-like tree trunks) and throwing hammers. Girls performed Highland dances on the makeshift stage. Another group was running through the fells — an homage to the supposed origins of the Highland Games, when people would compete to become the king or clan chief's foot messenger. Scotland isn't exactly known for its cuisine, but it is famous for haggis. I may be in the minority here, but I like the stuff. Haggis began as peasant food. Waste-conscious cooks wrapped sheep's hearts, livers, and lungs in stomach lining and boiled these scraps, then added spices and oats to create a hearty meal — and make it more palatable. Traditionally served with "neeps and tatties" (turnips and potatoes), haggis was forever immortalized thanks to Robert Burns' poem, "Address to a Haggis," which extolled the virtues of the dish. Haggis can be found on many menus. Cooking methods range from plain deep-fried to "haute and oat" — a term for Scottish fine dining. In Edinburgh, I get my fix at the Wedgwood Restaurant, which serves a scrumptious pigeon and haggis starter. Recently I also tried haggis-flavored potato chips — not bad. Another unique Scottish flavor is the soft drink called Irn-Bru (pronounced "Iron Brew"). This bright-orange beverage tastes like bubblegum, with a slightly bitter aftertaste. Irn-Bru's appeal may elude most non-Scots, but it's hugely popular here. Though Scots love their Irn-Bru, they are absolutely patriotic about whisky, which is why it's considered the national drink. 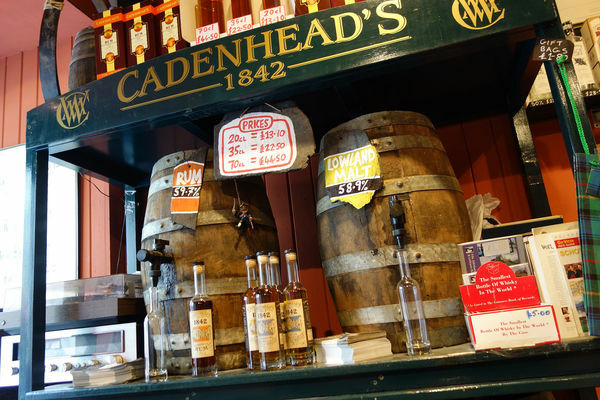 While there are plenty of distillery tours, a visit to a fine whisky shop, like Cadenhead's, at the bottom of Edinburgh's Royal Mile, offers a chance to gain an education and have a small bottle filled from the cask of your choice. Or you can simply belly up to the bar in a neighborhood pub and ask a local what they like best and why. Scots are passionate about finding and describing the whisky that fits their personality. Each guy in the pub has "his" whisky. And the descriptors — fruity, peppery, peaty, smoky — are much easier to taste than their wine-snob equivalents. As you sit in a pub and learn by drinking, consider how understanding "food patriotism" here in Scotland — or in any corner of the world — brings out the fun and fascinating facets of each place.